With so much confusion going on with the new features in Facebook. There are many users who want to take the backup of all the information they have shared and gathered on Facebook. Taking a backup and keeping it safely with you relives us from loss of data. It is the best way to keep things in a organised manner. 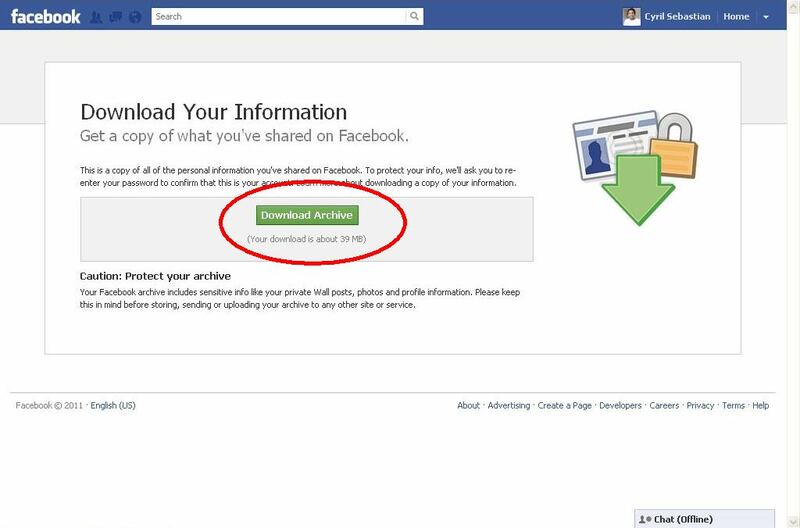 Facebook allows you to download all your data from Facebook. Which even helps to have all photo album collections which we have gather from our various sources, all our messages, all our status updates. It will take some time to take the backup from Facebook as it has very strict with privacy policies, thus you have to verify to get the data. On the upper right, there is a down arrow. Click on it and go to Account Settings. 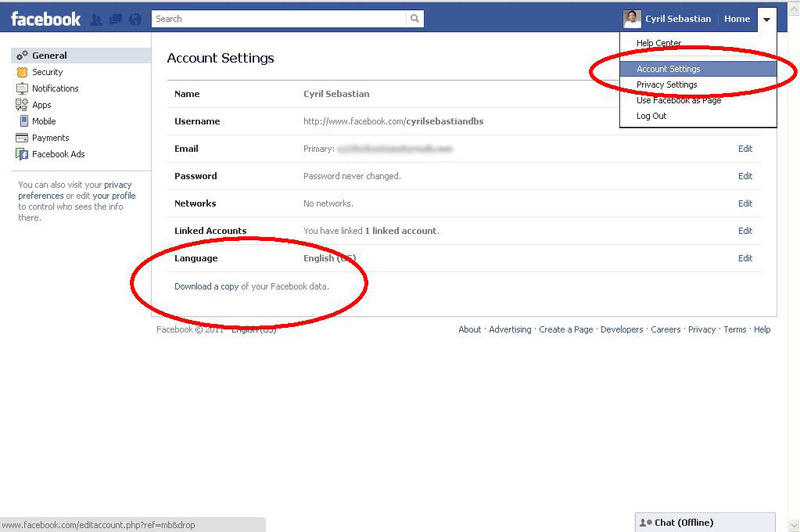 Click on the link under Languages option which reads “Download a copy of your Facebook data”. Click on Download Archive as showed in the image below, then it will start archiving your content. Final step is to wait for minimum two hours and you will receive a mail at your primary email ID giving you the link. When clicked the link it will take you the page to authenticate, and give the option to download your data.